The Public Company Accounting Oversight Board (PCAOB) has selected MS Accountancy candidate Maritza Rodriguez as the recipient for their annual scholarship. Established by the U.S. Congress after the Sarbanes-Oxley Act of 2002, the PCAOB oversees audits of public companies in order to protect investors and the public interest. Since 2012, the PCAOB has annually supported a Bauer College student with a scholarship. 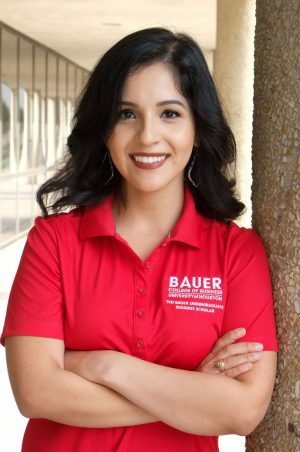 Rodriguez has also received scholarships from the Houston chapter of Financial Executives International (FEI) and the Ted Bauer Undergraduate Business Scholarship during her undergraduate career at Bauer, helping her focus on her studies, she said.